Cristela is a quick-witted, Latina sitcom with back-to-back punchlines and a laugh track that seems to last for the entire show, non-stop. Like I prefaced in my last review (that I love crime dramas) let me preface that I’ve watched very few sitcoms (see the list). Cristela‘s biggest strength is the constant stream of jokes. Witty one-liners, cultural references, and hyperbolic, sometimes satirical, situations make this show more funny than frustrating, despite the main character’s selfishness, or communication issues, or whatever you want to chalk it up to. One of my favorite styles is repetitive joke themes that show up throughout the episode or season, which Cristela executes well. Many of the show’s jokes revolve around culture, generational changes, and even gender roles. This laugh-at-life humor contributes to a light-hearted new sitcom for ABC’s Fall 2014 season. What I can’t really get over is the perpetual laugh track. It reminded me of watching a Disney show, where they are essentially telling kids the parts to laugh at (and they think they’re really, really funny). Ever seen Good Luck Charlie? This show popped into my head during Cristela. I think we can agree that is not a good thing. 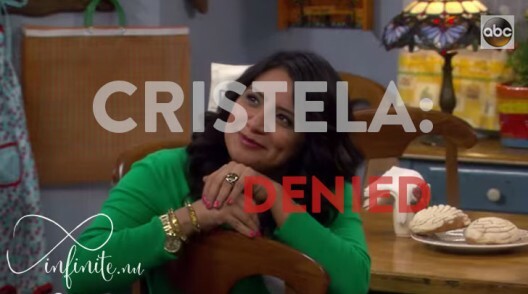 I won’t be watching any more Cristela next year. Despite enjoying the jokes and their delivery, the style of the show is a turn off for me. 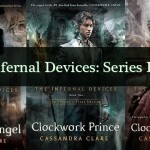 It reminds me of those shows that have reruns on all during the daytime hours: I don’t want to watch them, but there’s nothing else on and I’m stuck in the doctor’s office lobby. I know I’m late to this party, but I had to let you know that this comment really made me laugh! Love the outlook. :) I showed Cristela to my boyfriend’s sister and she loved it, it’s one of the few she watches regularly now!